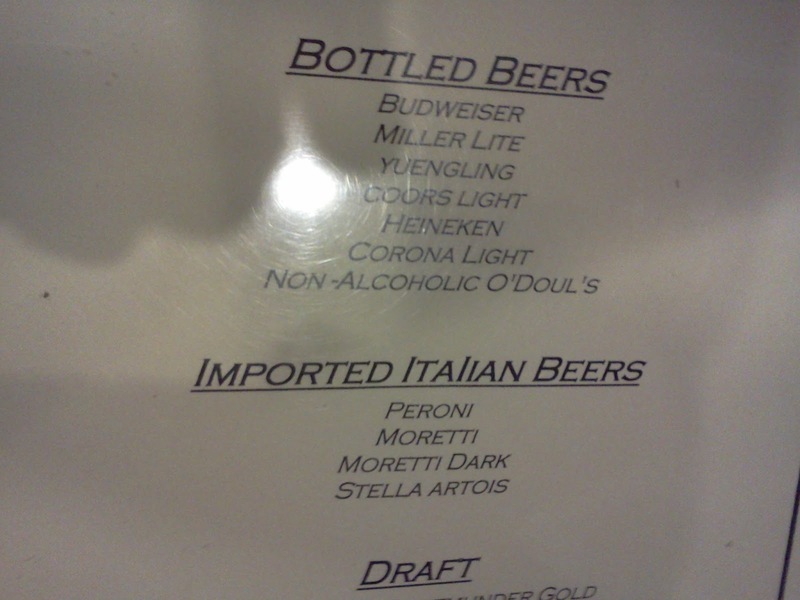 Found by Matt G. at an Italian restaurant in Cleveland, this lowercase L is truly baffling. The IMPORTED ITAlIAN BEERS heading makes use of small caps for lowercase letters. You can tell because they are shorter than the uppercase first letter of each word. That means the lowercase L in ITAlIAN was purposefully typed as an uppercase i! 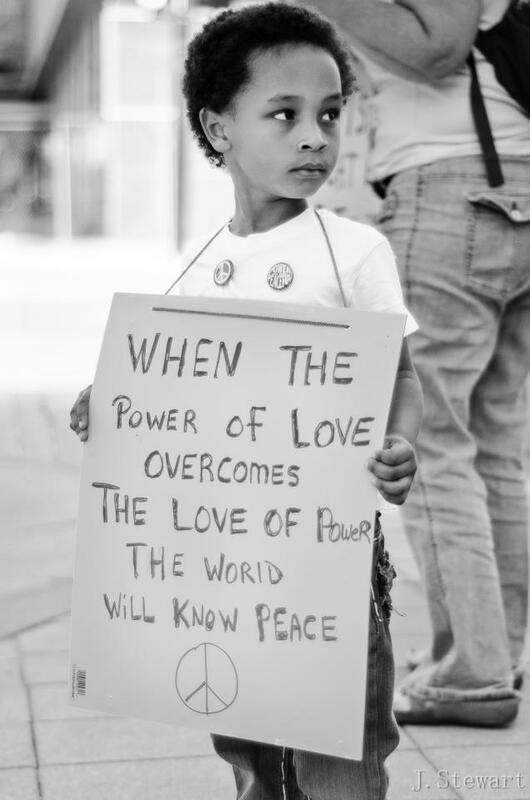 Maybe it's the beer talking, but I find this beautiful. Matt also points out that, while most brand names correctly begin with tall uppercase letters, some mysteriously start with small caps, the equivalent of a lowercase letter. Can you find them all? My question is, when did spelling WORlD in all uppercase letters except the lowercase L become such a WORlDWIDE phenomenon? First discovered on the 11ElEVEN Project Facebook page. Skooter submits this FlAT FIX photo, taken at the corner of 4th Ave and Prospect Ave here in Brooklyn, and asks the obvious question: do they only fix Italian cars? Besides the obvious hand painted FlAT FIX on the metal gate, the awning above has both a prominent, correctly typed FLAT FIX, and a subversive, tucked away FlAT FIX on the side. Very meta that someone needs to fix the FlAT FIX sign. Following close in the tracks of the Open Source monospaced font, which will help readers differentiate between l's, I's, and 1s, a new OpenDyslexic font has been developed for dyslexic readers. 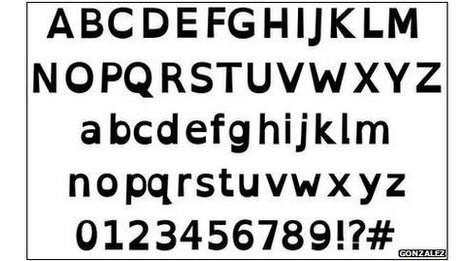 The letters are all "weighted" at the bottom, giving them gravity to help dyslexic readers from rotating or flipping them in their minds. Look at the lowercase L ... it has a little foot! Perhaps this will help not only the dyslexic but the dysgraphic as well. Tonight, in the 2012 Presidential Debate, Mitt Romney restated his intent to cut federal funding to public radio and television. 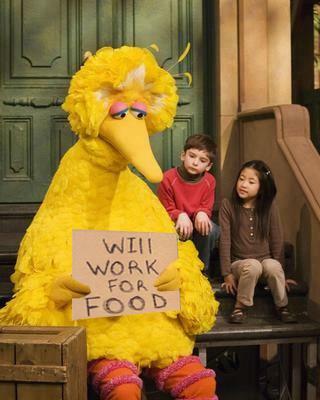 Within minutes, the Twitterverse was atwitter with an unemployed Big Bird, featuring images in which he sadly holds a hand written cardboard sign, "WIll WORK FOR FOOD." In Big Bird's defense, the uppercase i in WIll is serifed, adequately differentiating it from the following lowercase L's. Still, #BigBird should know better. It's not like his funding has been cut yet.